Gruppo Mastrotto confirms and consolidates its global presence by showcasing the new Spring Summer 2019 collection at Lineapelle New York. To display the trends of the next season, Gruppo Mastrotto will have at its disposal the largest stand of the fair, at the center of the Metropolitan Pavilion. The new collection presents the latest colors and innovative finishes, inspired by big brands and designers for quality, innovation, style. 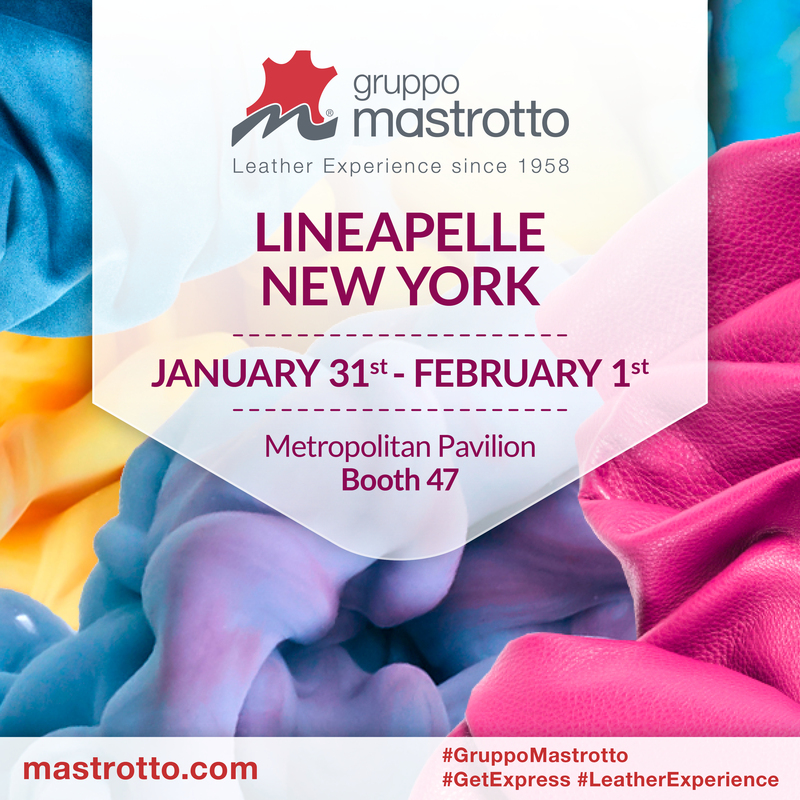 The guests will also have access to Gruppo Mastrotto Express, the innovative service that guarantees leathers in prompt delivery, available in more than 1100 colors, where orders are filled within 48 hours.